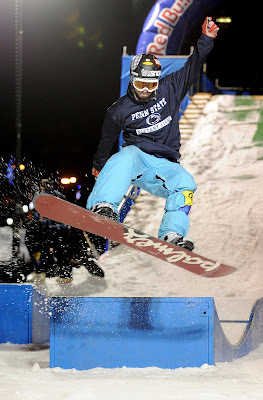 It's now February in Happy Valley and we haven't seen as much snow as some would like. 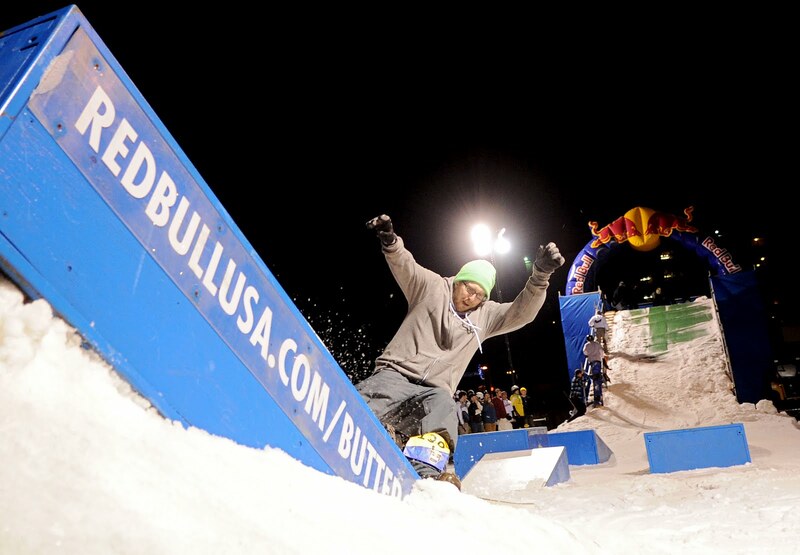 So Red Bull trucked in 3 trucks worth of snow to a downtown parking lot to host their Butter Cup challenge for all the snowboarders out there. 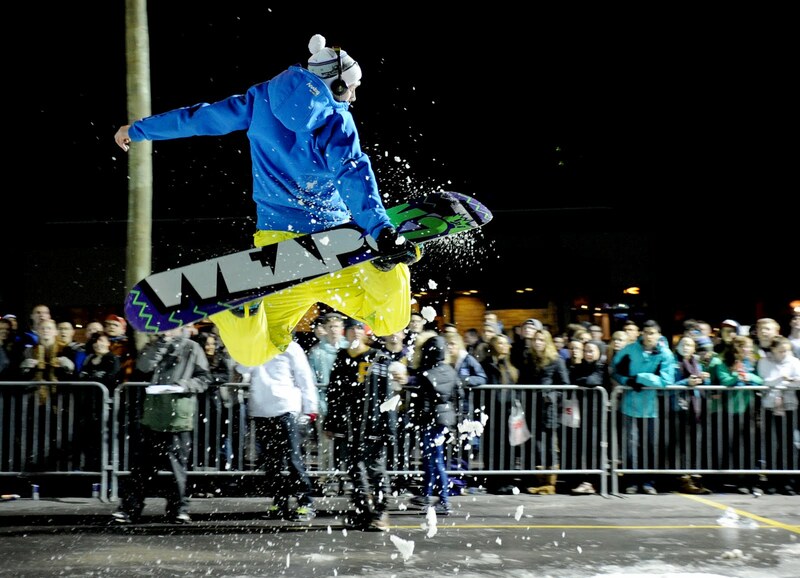 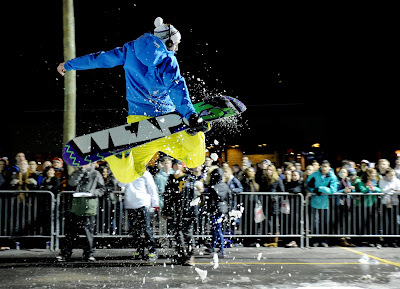 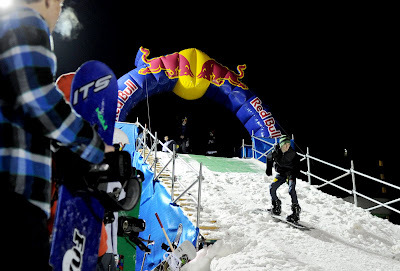 Seventy contestants boarded their way down a scaffolding hill and through a mini terrain park to compete for prizes and even some cash.